The field of toxicology is focused on developing improved ways to identify and reduce the harmful effects of chemical, physical, and biological agents at all levels of biological organization, from molecules to humans to complex ecosystems. This Master of Science degree in Environmental or Applied Toxicology trains students to identify, understand, and analyze toxic agents and their effects on human health and the environment. The curriculum includes courses in the supporting sciences of biostatistics and epidemiology, as well as foundational courses in exposure science and environmental health. Additional courses provide in-depth training in risk assessment and the fundamentals of toxicology, including organ system toxicology and the effects and mechanisms of toxicity of a wide range of toxic agents. Students earning an MS in Environmental or Applied Toxicology are well prepared to develop, interpret and utilize toxicological data to solve environmental health problems. Five students who graduated from the MS in Environmental Toxicology program between 2011 and 2016 are currently pursuing PhDs in our Environmental Toxicology Program. "I first became interested in toxicology as an undergraduate student. I was involved in a summer research project with the chemistry department focused on characterizing historic mercury and lead deposition in ombrotrophic bogs (areas that receive all of their water and nutrients from precipitation, rather than from streams or springs) in New York’s Catskill Mountains. That project made me curious about how contaminants such as heavy metals affect the environment and living organisms, which inspired me to pursue graduate work in toxicology. While working on my MS degree in Applied Toxicology here at UW, I’ve been very fortunate to be mentored by DEOHS faculty who have helped me pursue research opportunities tailored to my areas of interest. My culminating project is related to research I did with a National Laboratory focused on the activity of specific enzymes associated with detoxification pathways under various exposure conditions. 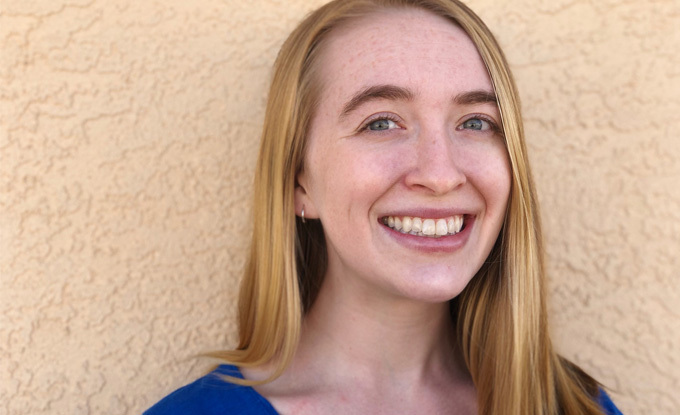 After graduation, I hope to go on an epic cycling adventure, then continue my research in molecular toxicology to help people who have been negatively impacted by chemical exposures." Explore more MS in Environmental Toxicology student research projects. This degree offers two distinct options. The MS in Environmental Toxicology is a 2-year degree that requires a thesis as a culminating experience. The MS in Applied Toxicology is an accelerated 5-quarter degree that requires and project as a culminating experience. The 2-year MS in Environmental Toxicology degree option is ideal for students interested in gaining the expertise and research skills necessary to solve environmental health problems in a variety of settings, including governmental agencies, private industry, or academia. Students in this degree option propose and conduct an original research project and write and defend a master’s thesis as a culminating experience in year two. A complete list of course requirements for the MS in Environmental Toxicology is available here. The 5-quarter, 15-month accelerated MS in Applied Toxicology degree option was developed for students looking for training in the practice of toxicology in order to be able to compete for jobs in private industry, federal, state or local government agencies, or academic institutions that require an MS degree. 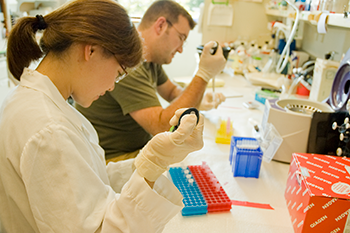 Students in this degree option complete the same course requirements as students in the MS in Environmental Toxicology, but conduct a supervised field study project at a training site (e.g., Region 10 EPA, NOAA, Public Health Seattle & King County, Veritox, and local biotechnology companies) during summer quarter of their first year instead of writing a research thesis as a culminating experience. A complete list of course requirements for the MS in Applied Toxicology is available here.